Univ 360 Place is a mixed commercial development comprising of 2 Towers of Designer SOFO units (657 units) and 18 units of Duplex Shop Lots. Its urban design has won the prestigious 2016 PAM Award (the nation’s most recognised design award in architecture). It features an urban external building facade that is equipped with large windows and glass railing balconies for energy efficiency. All units also come with an excellent view of either the pool, city or the lake. 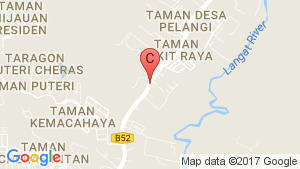 Univ360 has access to 7 highways, the North-South Seremban, BESRAYA, SKVE, ELITE, LDP, MEX and SILK highways. Univ360 Place is also a 10-minute walk from the proposed MRT SSP Line 2, Seri Kembangan station. 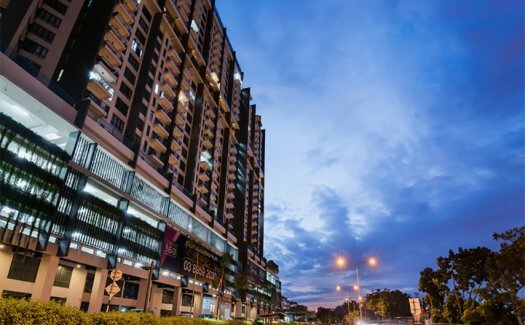 With a location in the established Serdang Jaya city, which is a mere 5 km radius from 8 institutions of education, these being University Putra Malaysia (UPM), Perdana Medical University and University Tenaga Nasional (UNITEN) to name a few. 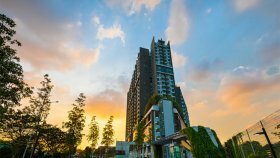 About 4km to the Mines Resort City, 7km to Taman Equine Park & Bandar Putra Permai which has Supermarket Amenities like AEON & Giant Hypermarket. 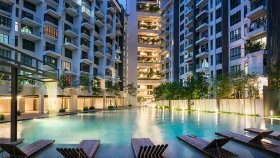 UNIV360 Place is a commercial project developed by F3 Capital Sdn Bhd, UNIV360 Place at Seri Kembangan, Ulu Langat has the following facilities: bbq area, cctv, garden, parking, playground, security and swimming pool. F3 Capital Sdn Bhd has also developed projects such as Dua Menjalara Kondominium, and selayang18. There are 1 commercials for rent in UNIV360 Place available from RM1,600 (based on 1 year rental term). Univ 360 Place, Fully Furnished For Rent. Nearby University.